Today I’m sharing something from my morning prayer time. Have you read any of Charles Spurgeon’s Morning and Evening? I’ve found it to be a treasure. No, he doesn’t talk like we do today…using words like “hitherto,” but like any great spiritual writing, it’s timeless. His writing proves lyrical and beautiful. I don’t have to tell you that this has been a hard year for many people everywhere. Savoring Spurgeon’s thoughts brought encouragement. I hope it does for you, too. 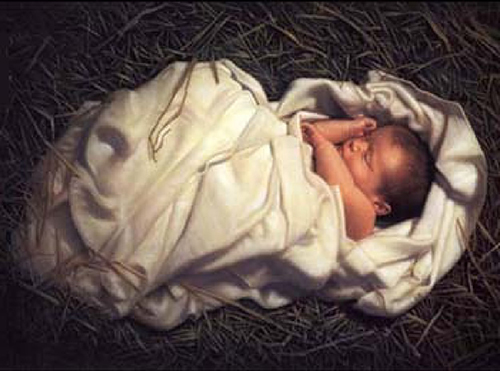 Do you ever feel like you’ve learned everything there is to know about the Christmas story, the very night he was born? Well, at least everything that we can know this side of heaven? So many of the characters and scenes breed sweet familiarity: You have your shepherds, angels, Joseph and Mary, serene little Baby Jesus of course, and you might even catch a glimpse of a little boy drumming near the manger. We know and love them all. I remember several years ago, though, when the wife of my pastor made a statement about Christmas. “Each year I pray that God will show me some new aspect of the Christmas story,” she said. That stuck with me. And now each year I do the same. So I wasn’t too surprised when God brought a new thought to my mind a couple of Christmases ago. It was the thought itself, however, that gave me pause. …Wow. That got my attention. I thought about that as I looked at Him there, letting it marinate in my heart and mind. And sure enough, over time I’ve come to see Christmas in that way. Jesus, sent by His Father, took earth by storm…for us. Our knight in shining armor, if you will. We just didn’t see the storm coming quite like this. Kinda reminds me of – stay with me here – Westley from the movie “The Princess Bride.” Before he leaves to make his way in the world and be worthy of her love, he solemnly promises his beloved that they will be together forever. “I will always come for you,” he insists. Yet as time goes on she collects plenty of reasons to doubt: his reported death, an inconceivable kidnapping, screaming carnivorous eels, etc. Every reason to despair. 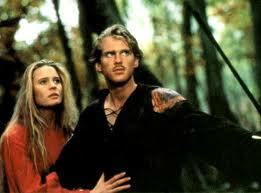 But, in time, valiant Westley proves faithful as he fights to reunite with Buttercup. Love is triumphant. He proves his oath true, even when all hope is gone. And so it is with our Lord and Savior, Jesus Christ. On an infinitely larger scale, of course. He has and will always come for us! We need only receive Him and trust His promise. Even in those peaceful moments of this Christmas with Jesus resting in the manger, I pray that we catch glimpses of the brave hero who rescued us before we knew we needed saving. Merry Christmas.